I’m always looking to write content in between WWE PPVs, and I thought I would write an article showcasing my NXT Trivia App which is available for Android currently. If you just want to try it out, click here: NXT Trivia App. I’m a massive trivia fan. I buy trivia cards for all topics – usually sports, TV shows, movies etc and then I carry them with me. Driving in the car with the wife and stuck in traffic? Trivia time. Out for pints with a few friends? Perfect time to have some trivia fun. Hanging out with the kids? Get them off Minecraft and answering some Harry Potter trivia. Of course being a massive wrestling fan I own EVERYTHING WWE Trivia related. Any apps I gobble up, I have the Ultimate WWE Trivia Book, the WWE Superstar Showdown and much more. 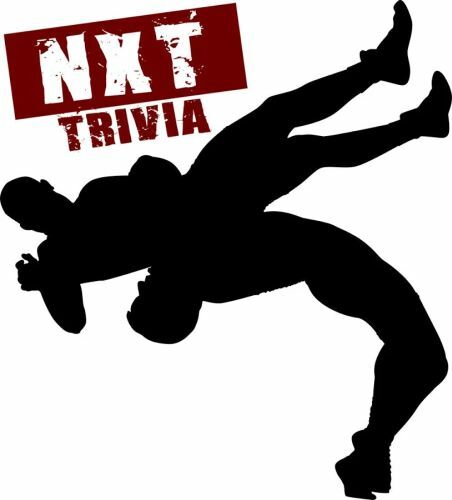 While playing WWE Trivia with a friend one night, he said “I wish we had an NXT Trivia game we could play”. He said “But 1 player trivia is boring. It’s more fun competign with each other”. I said “I can do that”. What I created is an NXT Trivia game which has both 1 player action AND 2 player action. The single player you get to compete with people worldwide on an online leaderboard which rewards you not just for getting questions correct, but for how fast you answer them. It makes it a lot of fun and adds a lot of intensity to it. However where I feel the trivia app REALLY shines is in two player mode. I thought about how I’d want to play trivia with a friend. Sometimes we’re sitting up at a bar side by side with each other. Other times, we’re sitting across a table from each other. The two player mode is pretty darn awesome – you have 10 questions and have to compete with answering them. Again speed is a factor so it rewards the people answering the fastest. 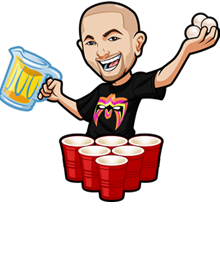 Try out my NXT Trivia App now! What’s cool about this app is how the questions are implemented. Basically – you don’t have to run updates all the time or anything like that. If you’re connected to the internet via wifi, and run the NXT Trivia App it will quickly check if there’s new questions in the database. If there are? It will immediately import them. You’ll also get a notification when new questions are added. I don’t hassle you with that – I will only add a batch of questions on a monthly basis so you’re going to get 1 notification a month. I’m hoping this NXT Trivia App takes off. It’s free and the only income I have on it is ads – and they’re only in the menus. They won’t bother you throughout the game. Honestly I’m not hoping to make a lot of money with the app – that’s not really the point. If I could get enough for a case of beer each month – I’m fine with that! It’s more about just creating an NXT Trivia game for all NXT fans to enjoy. And if takes off I’ll create a whole bunch of other wrestling trivia apps, plus port it to the likes of iOS etc.